June | 2010 | Quilting my way through life! We’ve been home from Minneapolis’ Spring Quilt Market for two weeks now, and it’s funny because it seems like market was ages ago. There is so much work that goes into getting designs ready and put into sellable form; designing samples, sewing them, writing directions, photography, printing & bagging. Some of these steps need to be repeated SEVERAL times before I can justify stopping and other items never really have my final seal of approval, but alas nobody and nothing is perfect and I have to stop and work on the “next” step anyway. I met Celine several years ago on the Yahoo! 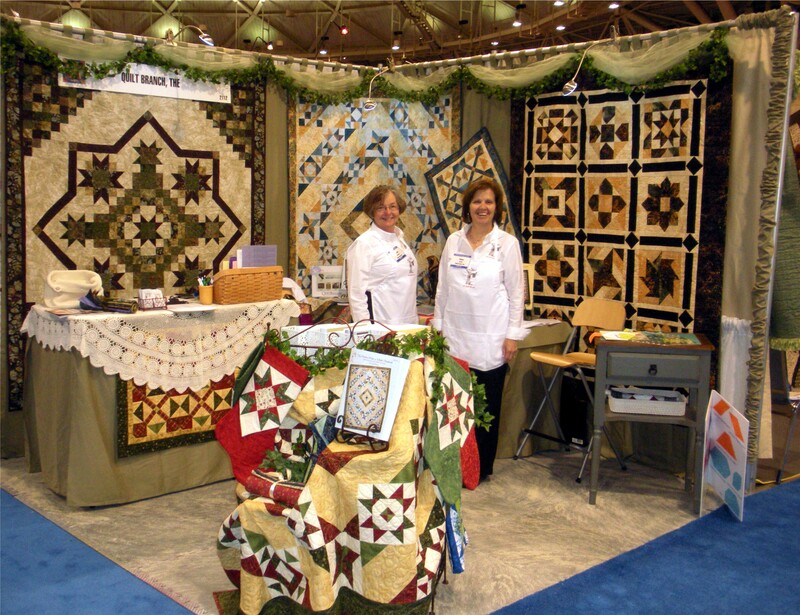 Quiltdesigners group and then in “real life” at market one year, 2005? Anyway at the last couple of Houston markets I’ve helped Celine out by bringing extra tables, my daughter Clare’s sewing machine for Celine to demo her Perfect Piecing Seam Guide on, and was her limo for the week last year. 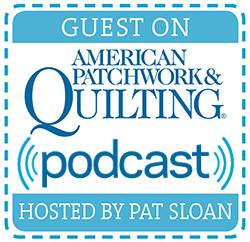 So, and this is a BIG So, Celine generously hosted not only me, but the ladies from The Quilt Branch and our market helper and fellow quilt designer Robin Koehler of Nestlings By Robin. She picked both Robin and me up at the airport, separately mind you, and then drove us everywhere we needed to be and when. And of course took us both back to the airport for out departure flights! This was all in addition to her having all the stress of having her own booth, what a friend! We ate at wonderful restaurants, and stayed at Celine’s mother’s town home while her mother was still in California for the winter. One evening Celine’s husband, Mark, cooked us a delicious meal that we shared with their children John, Molly and James. I even got to ride shotgun while Celine took James to his bus stop one morning, (no, now I remember, James drove us with his learner’s permit, yikes!!! Just kidding he’s a good driver, or maybe it’s because my own son has his permit too and I felt right at home) What a wonderful family they have! Now, back to the after market “list”. Even though it’s been two weeks since market I still have things that I need to finish up before Minneapolis’s Quilt Market is really “finished”. In effort to try to catch up with the world, I’ve decided to finally start a blog. I know, next you’ll be expecting me to join Facebook, then twitter and who even knows what’s next? I barely have enough hours in the day for everything now, but it’s fun to read blogs and so hopefully I will also have fun blogging. Here’s what I’ve been up to these past few months. 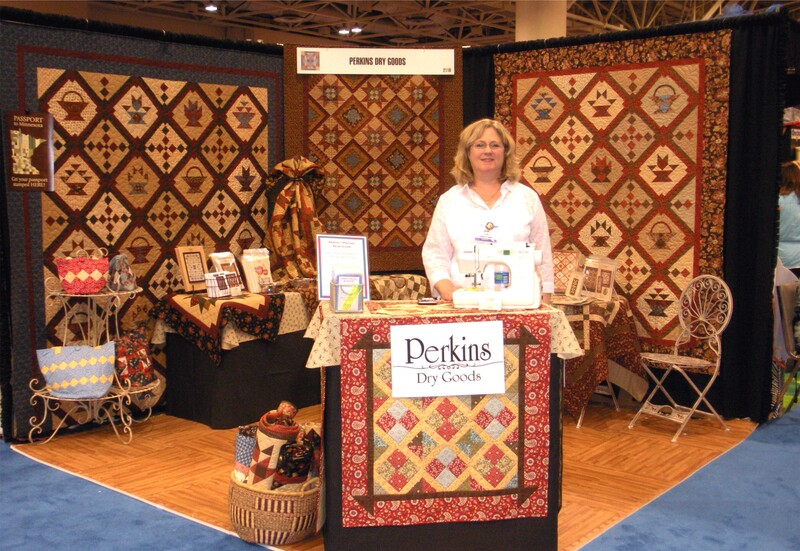 Getting ready for and attending International Quilt Market seems to be a constant. Not back from market two weeks yet and I’d already received the contract for Fall Market. Please just let me catch my breath!!! So here I am in my booth, photo compliments of Robin Koehler. My booth was full of new Christmas designs. Soon I will have my new patterns on my website, another item on my list of to-do’s. I’m wearing an apron with my new Ginger Bliss gingerbread kids, cute huh? One of my favorite patterns thus far. It was my best seller at this market, but my new book, Best Freinds was a close second.